Explore the building and enjoy a day of Talks, Tales and Tours, we'll have something for everyone at Victoria Baths' very first Weekend of Words. 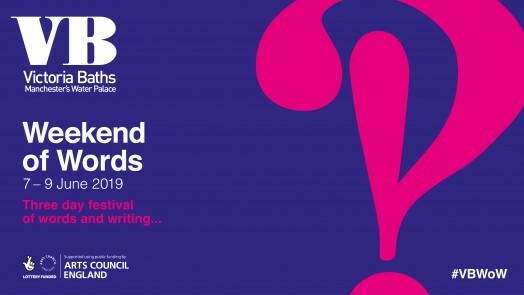 Weekend of Words is supported using public funding from the National Lottery through Arts Council England. Off Limits* takes you to lesser known parts of the building Baths as well as the main iconic spaces. You will visit the boiler house and filter room and hear about pool water treatment through the ages. The tour visits the undercroft of the pools and several spaces that have been used for TV filming, including Peaky Blinders and Life on Mars. * Please note that this tour involve stairs and uneven floors and so isn't suitable for visitors with limited mobility.